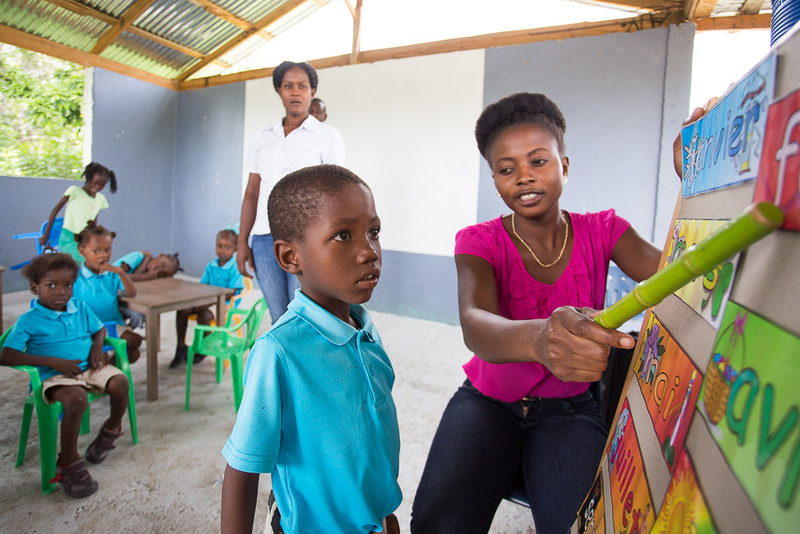 Children with disabilities in Haiti are often denied the opportunity to go to school and receive an education. Every parent in Haiti longs for their child to go to school, and when they are not allowed to attend, it is devastating on so many levels. Footprints of the Son believes that every child deserves the chance to grow and develop in a school setting where they can reach their highest potential and create lasting friendships. Through inclusion and integration models, the students are learning acceptance of children with disabilities, and they are breaking the stigma that surrounds these children by learning they are more alike than different! All children enrolled in the Footprints of the Son Inclusion School receive education through our child sponsorship program. The students are served a nutritious meal each day at school because we know their bodies must be fed before their minds can learn and develop. Medical care for the students is also provided as needed. 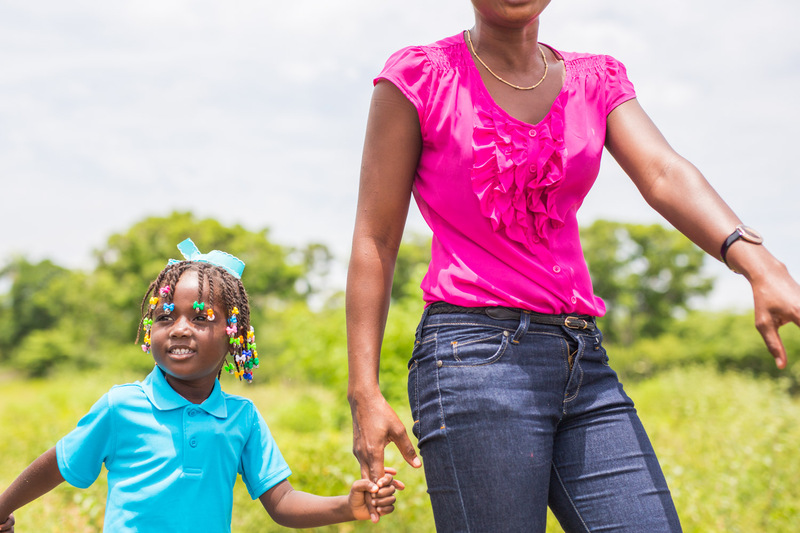 Each child enrolled in the school with a disability is provided transportation to and from school because many of them are physically unable to walk the distance it requires. Footprints of the Son values the education of each child we serve, and we individualize instruction to meet the child where they are at. 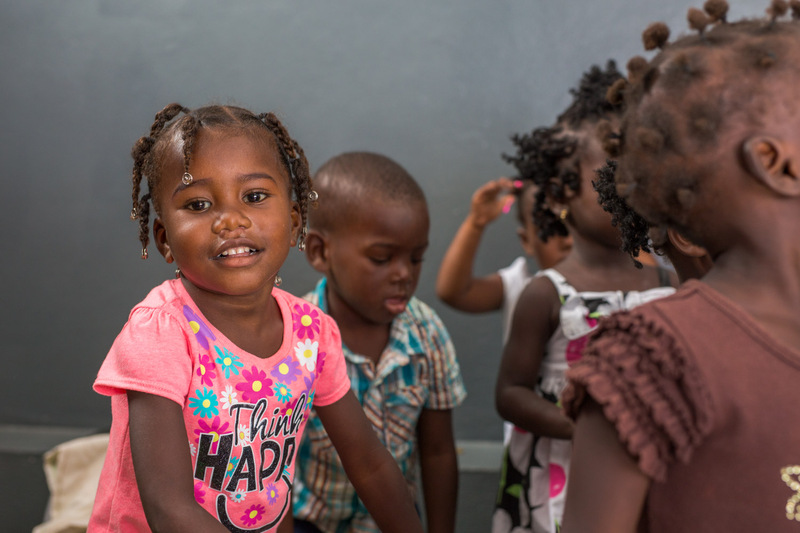 Haitian education typically focuses on repetition and memorizing, and we recognize that many children do not learn best with this method. We offer many hands on learning activities to meet the different learning styles within the classroom. 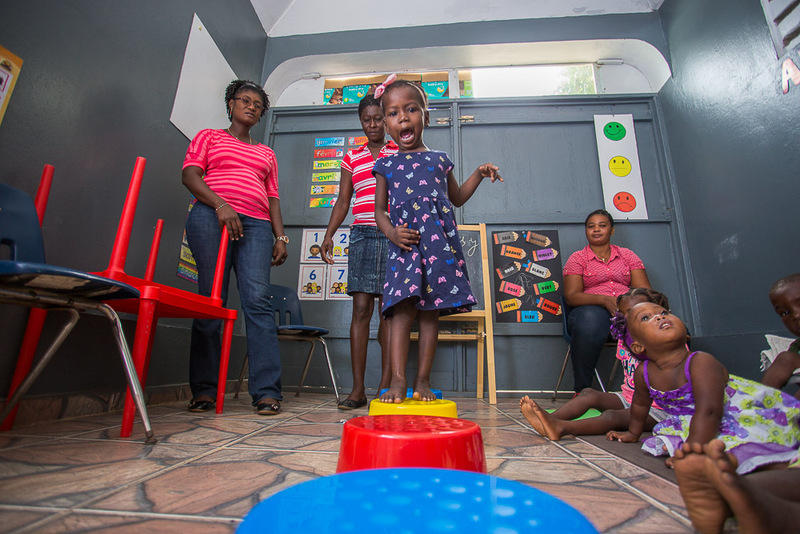 Footprints of the Son is the only inclusion school in Northeast, Haiti where children with disabilities are learning right next to children that are typical functioning. We believe breaking the stigma surrounding individuals with disabilities needs to happen, and we believe that it can happen with this next generation! Inclusion allows everyone to be together, and it creates and fosters an accepting and nurturing environment for each child! 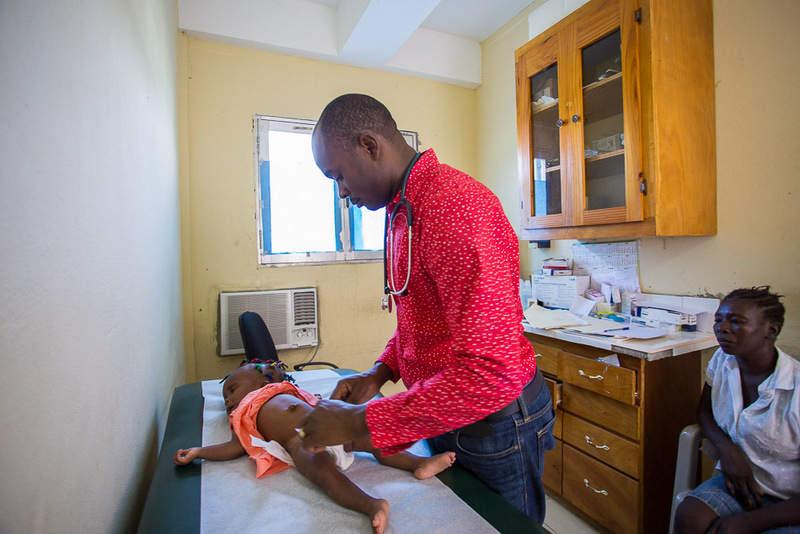 Children in Haiti do not always get the medical care they need because their parents simply cannot afford it. Footprints of the Son covers any medical costs that may arise for our students because we know they need to be healthy and well to learn to their greatest ability! Due to varying medical conditions that some of our students are diagnosed with, we do our best to prevent and treat illnesses to keep our learning environment as safe as possible for those with more susceptible immune systems. Footprints of the Son provides a warm lunch for every child in our school. This is typically the child’s largest meal of the day, and generally consists of rice, beans, and chicken. We know it is important to feed their minds with knowledge, but we also understand that their bodies need to be fed as well! 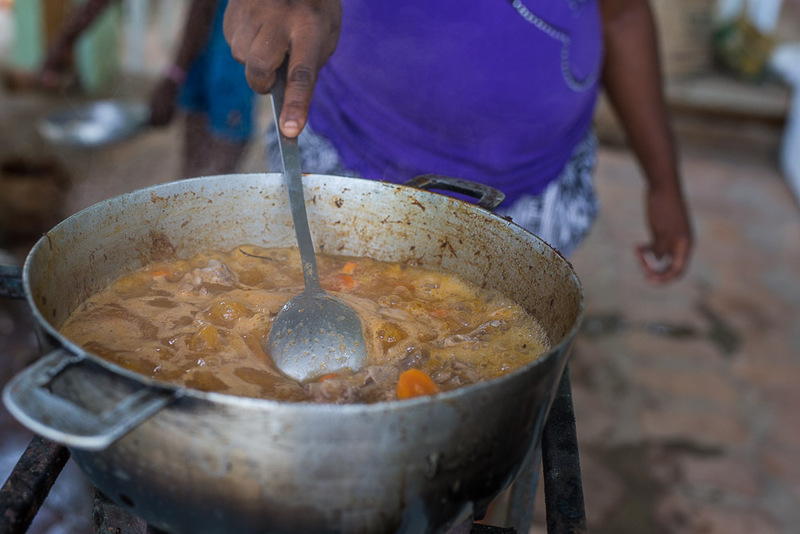 The children are always very satisfied with lunch, and their parents are very grateful that they receive a nutritious full meal at school each day. At Footprints of the Son, we incorporate age appropriate Bible stories, lessons, and prayers in each of our classrooms. The teachers lead the students, and are such amazing examples to the children. We look forward to walking alongside of the children as they grow spiritually and develop their faith in Christ. They are already shining lights in their communities as they learn to have Godly compassion and acceptance with each of their classmates. The students at Footprints of the Son are constantly learning valuable lessons that they will carry with them into adulthood. School is the place where children’s personalities and attitudes really take off. We focus on building confidence and a “can do” spirit in each of our classrooms. We create an encouraging environment for everyone to be who they are and still feel respected and loved.